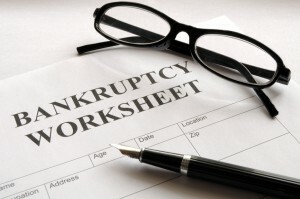 7 Questions to Ask Yourself When Considering Bankruptcy (Part 1) - Castle Rock Bankruptcy Attorney - Jon B. Clarke, P.C. Filing for bankruptcy is a good move for many people who are struggling with significant amounts of debt. However, the choice to file for bankruptcy should not be taken lightly, as this is an important decision that can have impacts on a person’s credit and financial standing for years to come. As a result, if you are burdened with debt and are thinking about whether you should file for bankruptcy, here are some important questions to ask yourself first. The way you answer these questions can clarify what your best options are for resolving your financial issues. If you still have questions after reading this three-part blog, contact the Law Office of Jon B. Clarke. We can review the specifics of your situation and provide you with a professional assessment of your best options for moving forward. What amount of debt am I facing and what is my current income? Undoubtedly, the first thing that debtors will need to ask themselves is how much they owe versus how much they are making. In calculating their total debt, borrowers should be sure to include money they owe on credit cards, on car loans, on home loans and on student loans. Additionally, they should take into account whether they owe any money in tax debt and/or court-ordered payments (like child support payments). Once they have figured out the total amount of their debt, they should figure out how much money they (including their spouse if they are married and the debt is in both of their names) earn on a monthly basis. If a person is unemployed, this may be nothing. However, if a person has a job and may be earning other income (like, for example, income from rental properties), the total income will need to be calculated to see whether the individual will qualify for Chapter 7 bankruptcy. How long have I been living in the state? A person will have had to have lived in the state in which he is filing for bankruptcy for a minimum amount of time in order to qualify for this legal solution. Generally, the law states that person will have had to have resided in the state for at least 180 days or “for the greater portion of 180 days” (i.e., at least 91 days). If you haven’t lived in a state for this minimum period of time, you will need to wait until you meet this requirement before you are able to file for bankruptcy. Be sure to check out the second and third installments of this blog for the final five questions that are important to ask yourself before filing for bankruptcy.